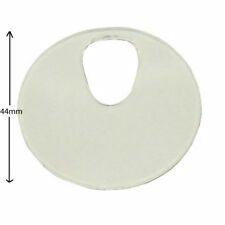 Double sided adhesive pads for attaching the sensor lens to the windscreen. on-going support for all aspects of our product range. When you need anything, you want the whole process to be as painless as possible. Reference number: 8UD955559B. 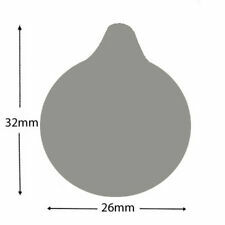 for Audi A1 A3 A4 A5 Q3 Q5 RS4 RS5 A6. AUDI Q3 [AQ3]. AUDI Q5 [AQ5]. AUDI A1 [A1]. AUDI A4/AVANT [A4]. AUDI RS4/AVANT QUATTRO [RS4]. AUDI A6/AVANT [A6]. BMW 5 SERIES E60 E61 2004 RAIN SENSOR 6947845. SCRATCH MARKS. FREE DELIVERY. • Continually monitor and improve quality on your behalf. When you need anything, you want the whole process to be as painless as possible. on-going support for all aspects of our product range. When you need the best Our aim is to…. Similar light refraction index as glass. When you need anything, you want the whole process to be as painless as possible. on-going support for all aspects of our product range. easy handling and application. Tiguan 2008-2012. Caddy 2004-2008. Caddy 2009-2011. Caddy 2011-2012. Passat CC 2009-2012. Whatever the problem, we will stay with it until it is resolved and you are satisfied. Warranty covers the part only! 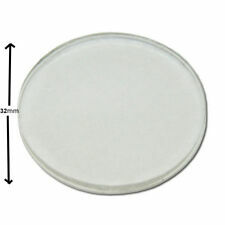 Double sided adhesive pads for attaching the sensor lens to the windscreen. When you need anything, you want the whole process to be as painless as possible. on-going support for all aspects of our product range. Hello, the part has been removed from: 2007 Ford Fiesta 5 doors . Right hand drive vehicle, engine : 1.4 petrol, engine code: FXJA, mileage: 110k . 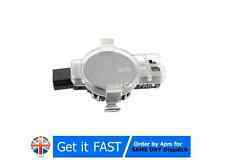 Vauxhall insignia 09-13 Windscreen Rain Sensor 13311618. Condition is Used. Dispatched with eBay delivery – Shutl 2-3 days. Other No. 5DF008073. LIGHT RAIN WIPER SENSOR. Photos are for actual item. Good Working Condition. Genuine Vauxhall Astra H MK5 Rain Sensor (2005-2009). In good working condition. This is a used part and as such may have wear or age related marks. 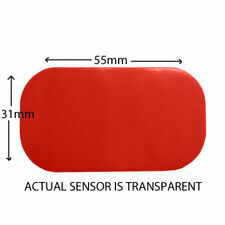 Sensor lens with adhesive pad attached. • Continually monitor and improve quality on your behalf. on-going support for all aspects of our product range. When you need anything, you want the whole process to be as painless as possible. 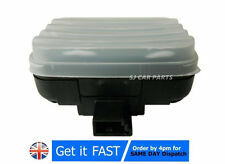 Brand new, genuine Peugeot rain sensor for models 3008 and 5008. 1617040580. • Continually monitor and improve quality on your behalf. on-going support for all aspects of our product range. When you need anything, you want the whole process to be as painless as possible. to arrange. • Continually monitor and improve quality on your behalf. on-going support for all aspects of our product range. When you need anything, you want the whole process to be as painless as possible. When you need the best Our aim is to…. 81A955547A / 81A 955 547 A. ARTEON model years 2017 >> onwards. PASSAT (B8) model years 2015 >> 2018. WINDSCREEN RAIN SENSOR. A8 model years 2017 >> onwards. A6 model years 2016 >> onwards. New genuine Audi part! Will fit 2011 - 2018 plate models. Ford focus windscreen rain sensor in good working condition ready to fit. FOCUS CITY! Fits Jaguar XF 2008-2015 Models! The sensor is fully working, it is in good used condition . It takes only a few minutes to re-apply the sensor to the windscreen! Clean the surface thoroughly and apply the SensorTack1 gel to the face of the sensor unit allowing the gel to cover all the raised features. 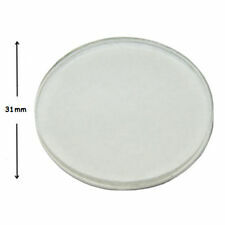 Rain and light sensor lens, with gel pad, for attaching to the windscreen of the car which regulates the wipers and the lights. • Continually monitor and improve quality on your behalf. When you need anything, you want the whole process to be as painless as possible. 2009 Ford Fiesta MK7 1.6 16v (HXJA) Titanium 5-Door Manual (8A6R-7002-DA) Petrol. (Ref #142). 2009 Ford Fiesta MK7 1.6 16v (HXJA) Titanium 3-Door Manual (8A6R-7002-DA) Petrol. (Ref #146). We have removed the whole assembly from the windscreen however you should be able to split it in half and use your existing mounting. 5-, 7- Series, F07, F10, F11, F01, F02, F03, F04. X5 E70, X6 E71. RemovedFrom BMW X6 E71 2009. BMW RAIN LIGHT SOLAR SENSOR. BMW Part N 9 212 916-01. Perfect Condition Fully Working Order! 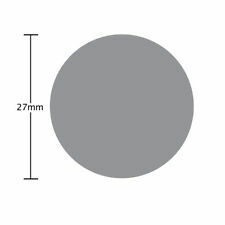 For the FORD FIESTA ST 180 MK7. Credit/Debit card in person or on the phone. You must notify us within 48 hours of receiving the item so collection can be arranged. 3 SERIES E93 325i. BODY TYPE: 2 DOOR, CONVERTIBLE, PRE FACELIFT. YEAR: 2007. Cash on collection. All our used parts are in good condition and are tested prior to dispatch. ITEM CONDITION. All Pictures taken from actual item. Condition: Used and Good Working Order. Pictures taken from actual item. YOU WILL RECEIVE EXACT WHAT YOU SEE IN THE PICTURES. Pin Numbers: Three Pin (3) in one connection. • Continually monitor and improve quality on your behalf. on-going support for all aspects of our product range. When you need anything, you want the whole process to be as painless as possible. You will be provided with the right information, combining technical advice and. Part Number: GM 22845143. Used - Genuine Vauxhall - Opel Windsheild Rain & Light Sensor. Insignia (2009-on). Genuine GM Part. All Pictures taken from actual item. Condition: Used and Good Working Order. 2014-2015 VW GOLF 7 MK7. 2015 SKODA Octavia A7. Whatever the problem, we will stay with it until it is resolved and you are satisfied. Warranty covers the part only! We aim to resolve or answer your query as soon as possible. Part Number: A1718205526. All Pictures taken from actual item. Condition: Used and Good Working Order. Pictures taken from actual item. YOU WILL RECEIVE EXACT WHAT YOU SEE IN THE PICTURES. Part Number: A2079013700. All Pictures taken from actual item. Condition: Used and Good Working Order. Pictures taken from actual item. Other Part Number: 30S 10099140-00. • Continually monitor and improve quality on your behalf. on-going support for all aspects of our product range. to arrange. Manufacturer Finis Code: 1380829. Mondeo (2007 - 2014). Used - Genuine Ford Sun Sensor. Galaxy (2006 - 2015). Genuine Ford Part. All Pictures taken from actual item. 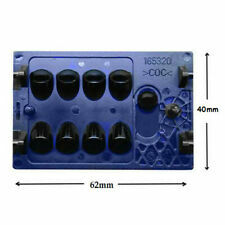 Part Number: 6M2T-19E663 (AB). Pictures taken from actual item. • Continually monitor and improve quality on your behalf. When you need anything, you want the whole process to be as painless as possible. to arrange. on-going support for all aspects of our product range. The sensor is fully working in good used condition.